I've written before about comic book superheroes as ancient gods that still survive in our culture. They represent our most enduring grasp of right and wrong, the archetypes that come to us across the ages (see my post on Ur-memory of those ideas here), incredibly across thousands, perhaps even millions of years. Looking at Green Lantern on a lunchbox or backpack, that seems an absurd assertion. Perhaps we tolerate this pantheon of pagan deities in an era of mainstream Millennial religions precisely because the ancient gods have dwindled down to figures in comic mythologies that we tell children and youths; and these myths are not taken that seriously. Yet the archetypes embedded here still have weight. They also constitute serious commercial interests. 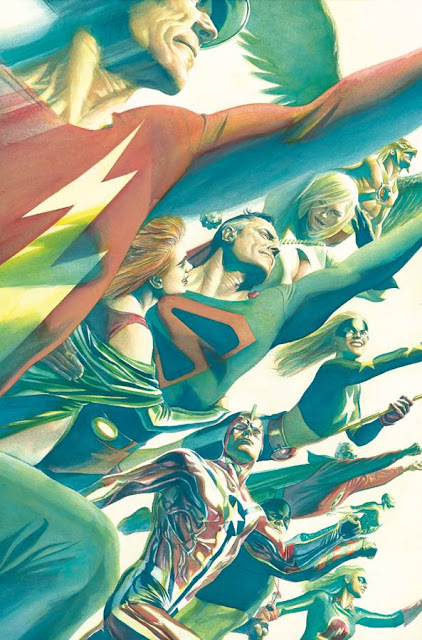 That raises the question of why these archetypes over the past twenty years, and especially in the last ten (when DC has been under Dan Didio's leadership), have been undermined? Why is DC Comics, the original classic superhero comics company, so preoccupied with the breakdown of heroes and heroism? Why are their heroes dying? Why are their characters being wiped from existence or rebooted in ways that taint them? What does it mean when their core values are stripped from them? Why are they being benched and sidelined? And why are the Outsiders, classic Titans, Justice Society, and Doom Patrol the key casualties in this reboot? I've commented on the JLA-centric generational and Bat-commercial aspects of the reboot which left the JSA, Doom Patrol and Titans out in the cold here; and my posts on what the Titans and Doom Patrol signify are here and here. There's a good series of posts this week on what fans are losing as the DCU dies, over at It's a Dan's World (here). This is what Millennial comics should do: DP fighting a sentient black hole in front of the Large Hadron Collider. Doom Patrol vol. 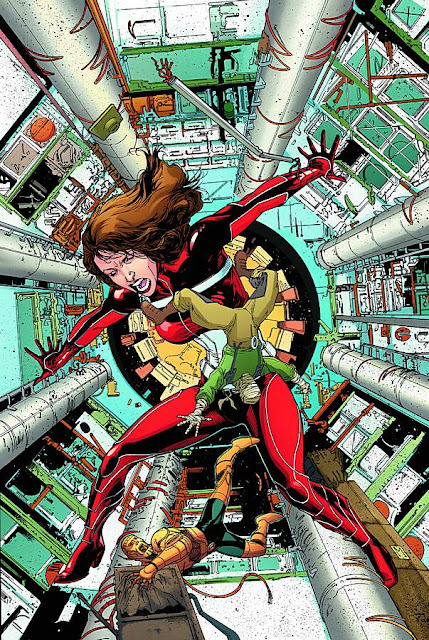 5 #2 (November 2009). We who are about to die salute you! That's the gladitorial rallying cry of DC's ill-fated superteam known as the Doom Patrol. 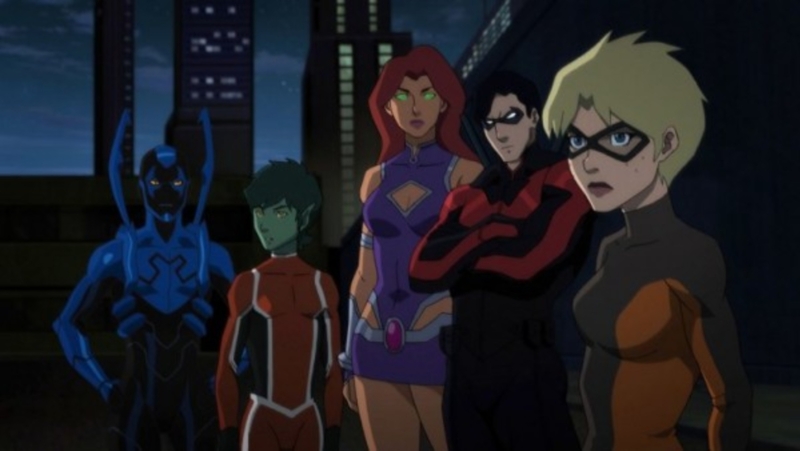 On Valentine's Day, DC Comics announced the cancellation of several titles. 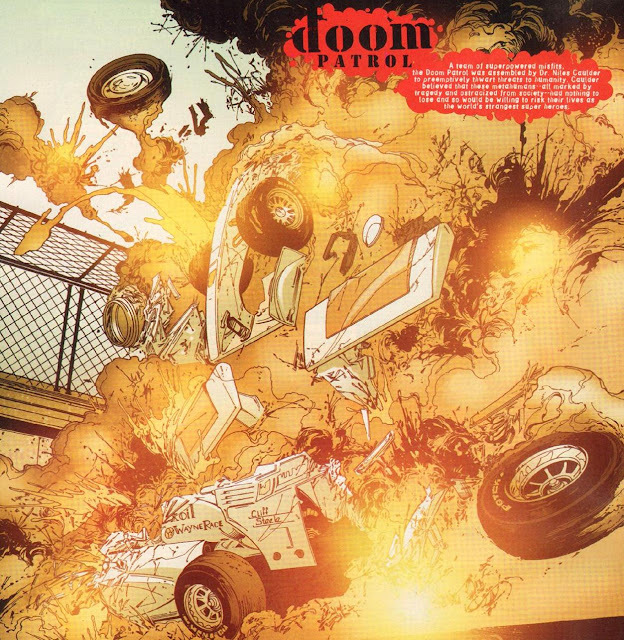 Among these was the fifth incarnation of Doom Patrol, written by Keith Giffen and drawn by Matthew Clark. This cancellation to 'free up' creative talent for production of the summer comics blockbuster Flashpoint has prompted outcry from the DP's fans (there is a petition asking DC to save the title here). This series had poor sales but great reviews; it was considered by many to be the publisher's most sophisticated title. Today, the last issue of the series hits comic shops. Why? What makes any comic, belonging to a genre known for its clichéed action and romance, its cheesy borrowings from the epics, mythology, pulps, mystery, horror, romance and science fiction even come close to having pretensions? Comics are sometimes one of the areas of pop culture where certain ideas are tested before they become mainstream. This series of blog posts on the 'Revolving Door of Death' is about the use of death in comics as a means to finding new values of heroism - a new moral compass - in times that are rapidly changing. That change involves pushing the boundaries of superheroism past the point of no return. In that regard, the Doom Patrol fits right in - and the title is still unique. First, the Revolving Door of Death. 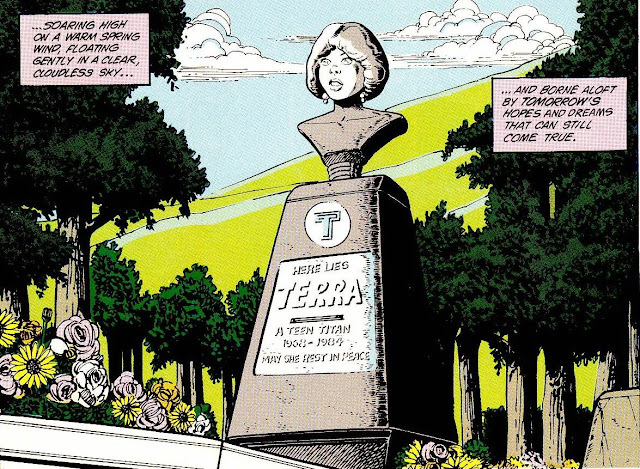 Comic book creators, especially mainstream publishers Marvel and DC, have earned a lot of criticism over the past twenty-five years for cheapening death and rebirth when they used them repeatedly as sensational devices for making money. More surprisingly, post 9/11, the editors at DC Comics have killed off hundreds of heroes. Then, in a bid to make comic book killings 'more serious,' they recently announced that their characters will no longer be reborn. But the deaths of superheroes continue. This trend suggests a high degree of confusion and ambivalence. DC has continually worn down the moral stature of its heroes. The company has made them ever more flawed and weak - while building up its villains. DC is letting evil win. Why? Does this reflect a crisis in American culture? Last week, DC had Superman renounce his American citizenship in Action Comics #900, a move which won the editors a lot of criticism in comics forums and the mainstream media. Does this chime with the intense, politicized commentary against American campaigns abroad? Marvel Comics, echoing the 1960s' voice of social criticism, can jump on that train without any problems. But DC, the classic American comics company, is in a strange, ambiguous place right now. Like her exhausted troops in Iraq and Afghanistan, America's heroes in the DC Universe are being pushed to the breaking point. 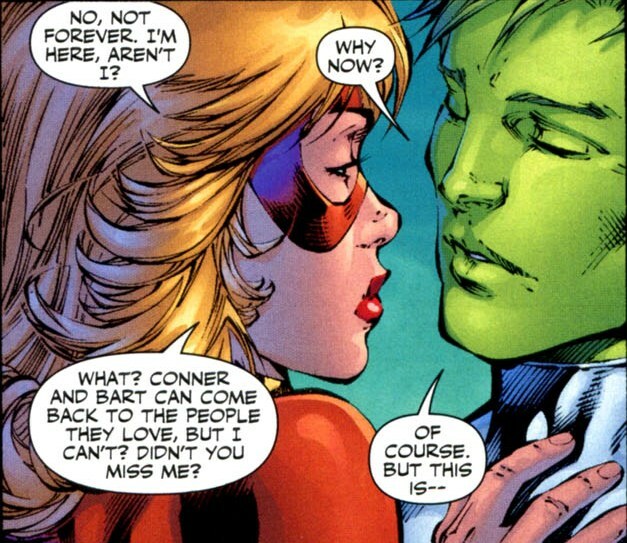 The question is where DC will go with this existential crisis and soul searching. Comic books thrive on taking their characters to the greatest extremes possible, within the current bounds of taste and story-telling. The catharsis comes when the heroes triumph against all odds. DC has yet to pull off that gigantic catharsis. Its creators are still in the midst of dragging its characters down deeper and deeper. The Nascar accident which almost kills Cliff Steele. Doom Patrol vol. 5 #21 (June 2011). 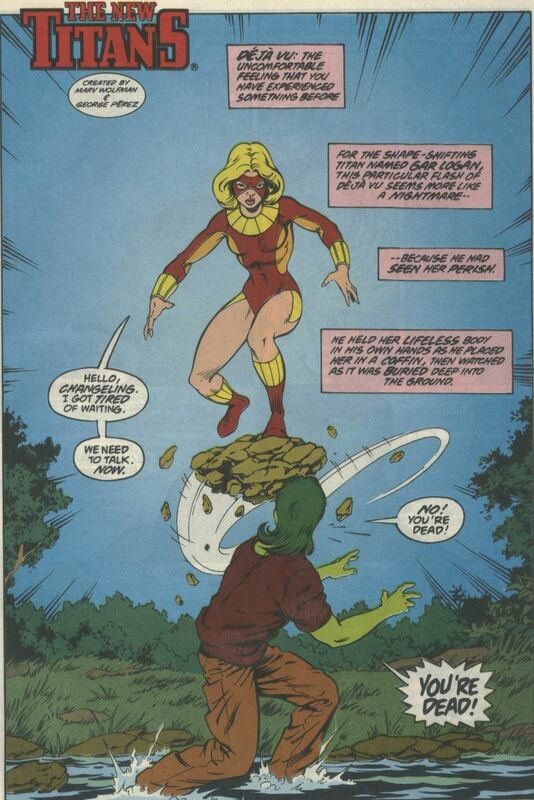 In this context, the Doom Patrol is unusual, because they are already ahead of all of DC's other heroes as far as being pushed past the limits goes. They were always a team 'out there,' beyond the pale. DP stories demonstrate how changes and challenges to our concepts of life and death are transforming our society, our consciousness and our moral attitudes. In the first part of the 20th century, the evolutionary scientists were expressing the idea that maybe cosmic radiation, which we've lived with on earth for our whole history, might have caused some changes to our DNA. Radiation can do that. At the same time, people were learning about evolution, which depends on random changes. I think that caught their imagination. That connection between radiation and evolution. I remember one of the earliest stories I read where they put this guy into a chamber and irradiated him, and he evolved before their eyes. Really he would have just died, but the idea remains. 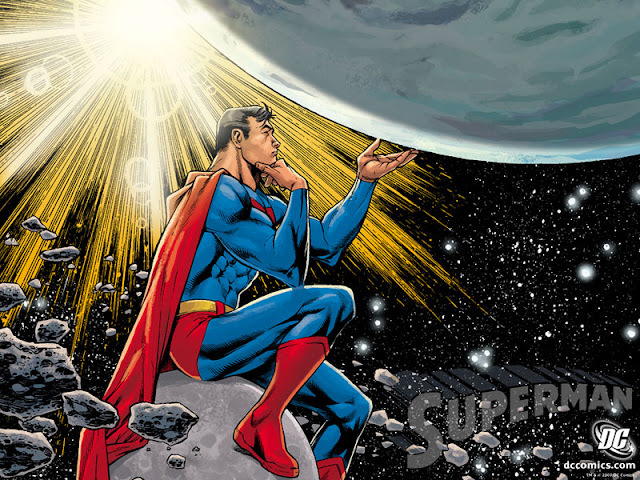 Superman, Spider-Man, Captain Atom and Doctor Manhattan are all examples of Nietzsche's Übermensch; sometimes they have Messianic qualities; or they are scientists, caught in a nuclear accident; and sometimes they are Everyman figures who are suddenly raised above all others. Characters with similar origins include The Ray, Captain America, The Atom, X-Ray, the Nexus Fusionkasters and Apollo. All of them are anthropomorphized versions of qualities we attribute to the power of radiation, whether cosmic, solar, elemental or nuclear. 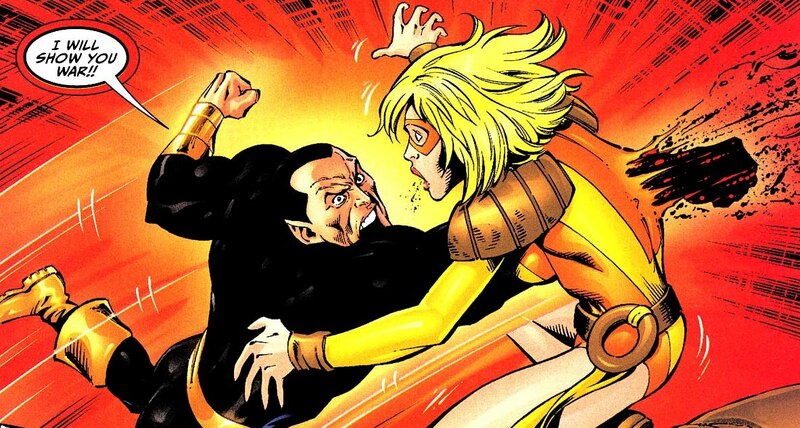 Most of pulp fiction's characters respond to radiation by acquiring superpowers such as strength, energy manipulation and flight; but some endure a separation of body and soul by nuclear means. Some gain the ability to travel through time; and some achieve immortality. Below the jump are the most popular radiation-powered heroes in the order in which they historically appeared. 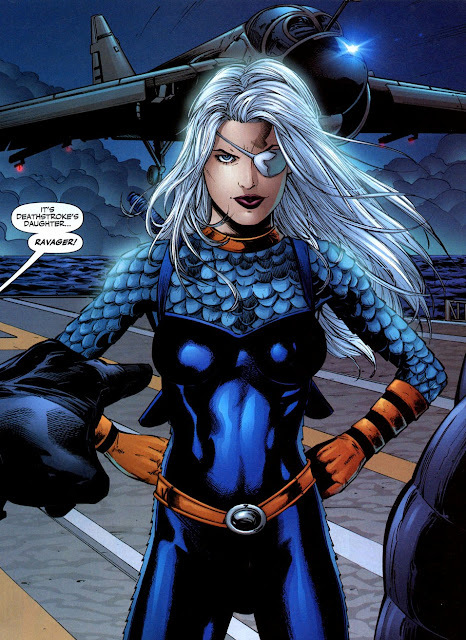 In some cases, there are later versions of the same character. Tozo (10 August 2008). © By David O'Connell. I09 has just reviewed a great Web comic that has been running since 2007: Tozo - The Public Servant. 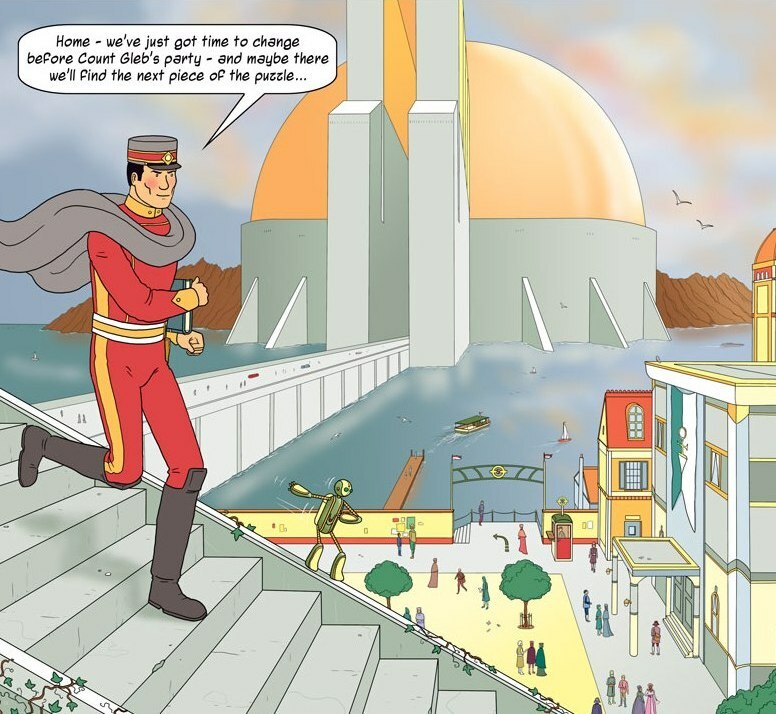 The comic is an excellent example of Retro-Futurism. 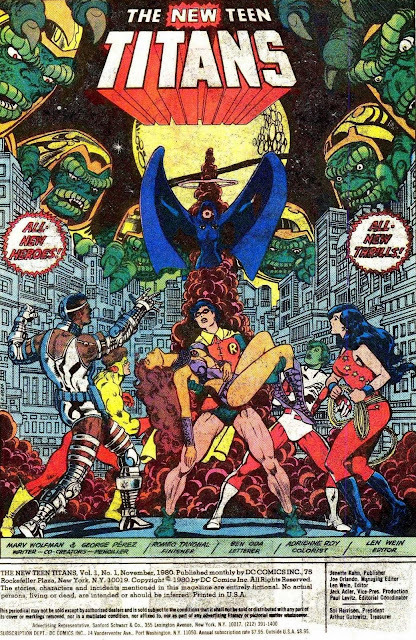 In the 1980s, the Judas Contract took the Titans to the top of the industry. 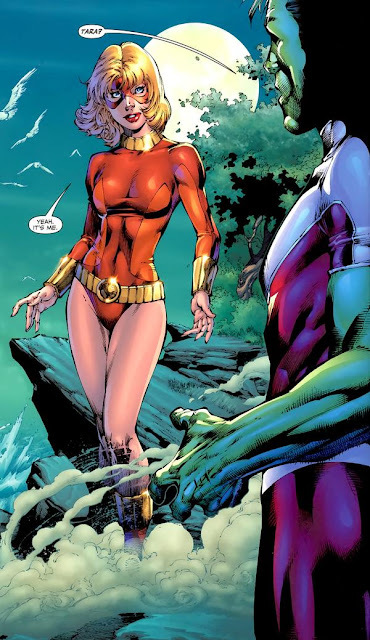 They were DC’s flagship counterpart to Marvel’s X-Men, but done steadfastly in DC’s style, which heavily references eternal moral values. By the 1990s, DC had passed the Titans’ high water mark. New editor Jonathan Peterson revived the Titans recipe by adding Marvel flavour to it. Peterson’s run is a prime example of what top DC characters look like when they are all Marvelled up.